Crisis Center of West Texas serves hundreds of clients annually, many of whom come to us with nothing after fleeing dangerous or abusive situations. Your donation helps us give them all the tools they need to succeed in a life free from violence. New items are requested. If you are interested in donating items not listed below, please contact our office at (432) 333-2527. 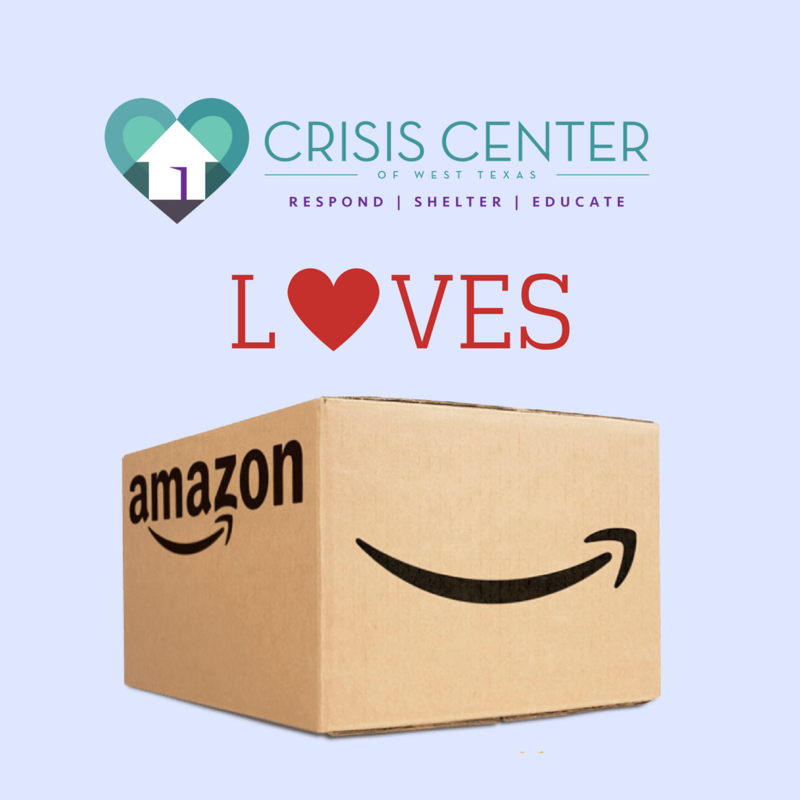 When you shop on Amazon, select Crisis Center of West Texas to receive a donation of 0.5% of the price of your eligible AmazonSmile purchases to us! AmazonSmile is the same Amazon you know. Same products, same prices, same service. You can even order donations from our wish list and have them shipped right to our door!